The 2019 NHL Stadium Series logo was unveiled by the league yesterday. (Sorry I'm a day late getting it here on the blog.) Like last season's logo, it breaks from the more generic look of Stadium Series logos from years past. Built on a keystone shape — Pennsylvania being known as the Keystone State — the logo also incorporates Philadelphia's Liberty Bell. In addition, this is the first time the designers have made a point to use the colors of the teams taking part in the Stadium Series. 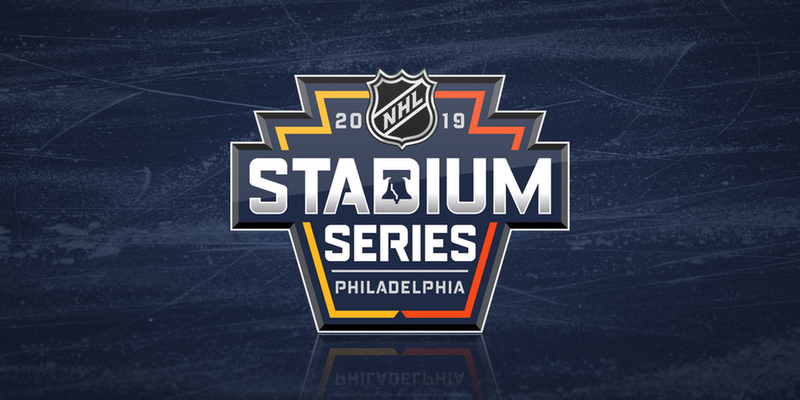 This outdoor game will take place on Feb. 23 at Lincoln Financial Field (home of the NFL's Eagles) as the Philadelphia Flyers host the Pittsburgh Penguins in a rematch of the 2017 Stadium Series at Heinz Field (home of the Steelers). 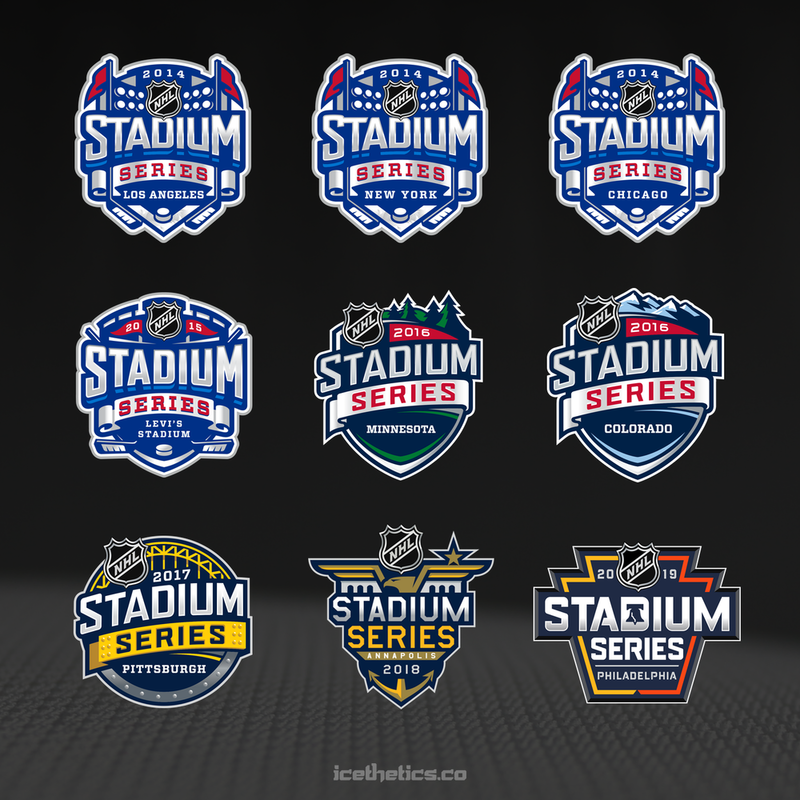 Update (8/2): Here's a collection of all the past Stadium Series logos for comparison.